The Sacred Heart Diet is a fad diet that has been circulating for many years. The diet was supposedly thought to come from the cardiology department at Sacred Heart Memorial Hospital where it was used for overweight heart patients. However, like most of these diets – this is an urban myth. The Sacred Heart Diet has been called a number of different names (such as the Spokane Heart Diet, the Cleveland Clinic Diet, Sacred Heart Memorial Hospital Diet and the Miami Heart Institute Diet). The Sacred Heart Diet is a soup-based diet and claims that you will lose 10-17 pounds in the first week. This may be true, but most of the weight lost will tend to be water – and will be gained right back very soon after the diet. This diet is very clearly an unsustainable fad diet but is not as nutritionally unsound as similar diets. Most of these diets claim some magical fat-burning science is involved, or that there is something special about the combination of foods. This is simply untrue – it is nothing more complex than a reduction in calories! Soup to be eaten ALL DAY as much and as often as you can. All vegetables. Eat until you are full with fresh raw, cooked or canned veggies. Try to eat green leafy veggies and stay away from dry beans, peas or corn. Eat veggies along with the soup and a baked potato at dinner time with butter. Don’t eat any fruits through today. Eat all the soup, fruit and veggies you want. Do not have a baked potato. Bananas and skim milk: Eat at least 3 bananas and drink as much milk as you can today, along with the soup. Brown rice, unsweetened fruit juice and veggies, until full (and eat the soup). You can add cooked veggies to your rice if you wish. Eat SOUP and all the FRESH VEGETABLES that you want. Nothing else. (no corn or beans). Eat SOUP and BOTH FRUIT & VEGETABLES, all you want. Nothing else. Eat SOUP all day and 3 BANANAS. 1 GLASS OF SKIM MILK. Nothing else. 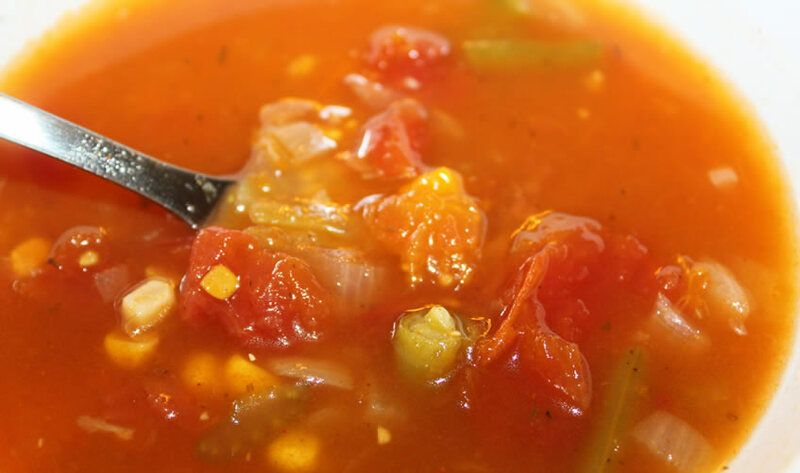 Eat SOUP, up to 8 TOMATOES and ALL the skinless CHICKEN, lean BEEF & FISH that you want. Nothing else. Eat SOUP, ALL the skinless CHICKEN, lean BEEF & FISH that you want… nothing else. Eat SOUP and all the BROWN RICE that you want. Nothing else. Any diet that would tell you to eat unlimited red meat is not healthy, especially for those with heart disease or cholesterol problems. Diets that only focus on certain food groups and eliminate others isn’t sustainable long term. With no calorie or portion guidelines in place, people could consume too little calories or way too many on certain days. The Sacred Heart Diet is nutrient deficient on certain days. The Sacred Heart Hospital in Montreal Canada (Hôpital Sacre Coeur) issued a press release in 2004 stating that “no nutritionist at the Hospital took part in the development of this diet”. The American Heart Association have claimed that the diet is phony (ref). The Sacred Heart Medical Center also disclaim any association with the diet (ref). While people have reported losing a lot of weight on The Sacred Heart Diet, it is not a diet that will promote long-term healthy weight loss¹ ². Most people gain the weight back quickly and have to keep repeating fad diets like this over and over again. Diets that become a lifestyle teach portion control, address emotional eating issues, and are not very restrictive. My Sacred Heart Diet is a book version of the diet and retails for $19. This is an improved and healthier version of the original. 1. Saris, W. H. (2001). Very‐Low‐Calorie Diets and Sustained Weight Loss. Obesity Research, 9(S11), 295S-301S. It’s worked for me, lost 7# in 6 days. I feel energetic. Hi on day four have lost 5lb following diet. I do work and can not eat every 2 hours. I eat 4 times a day and have not been hungry at all. I take 1 excedrine /w caffeine if headache occurs. I am using Mrs. Dash on veg. Or Salad Elagance both very good on veg. I found Walden Farms product that is free of everything. Use on veg. Soup is good I added worchester and hot sauce to soup. Very good broth. Will cut veggies smaller next time. Hi I am on day 7 lost 7 lbs going to do this for another week!